Holiday Weddings 2014: Tie A Bow Around It By Getting So Very Married! Each year, just before Christmas day, it is always fun to share in a wedding that is extra special because it is surrounded by the joy and beauty of the December holiday season. Congratulations to Catalina and Mariina, married at Gene Coulon Park, in the happy presence of Catalina’s parents. 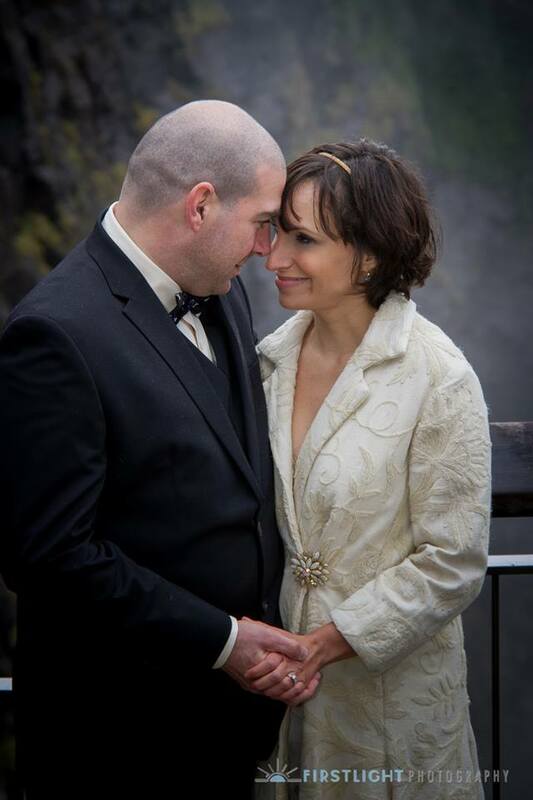 Much happiness is wished to Michael and Cara who “eloped” to Seattle with their two children to be married at the rainy and windswept Kerry Park overlook on Saturday afternoon. The Washington Athletic Club was the twinkly and formal venue for William and Heather, who were married in a gorgeous and beautiful ceremony in the Crystal Ballroom on Saturday evening, surrounded by some of the happiest family and friends ever! Yesterday, it was a happy pleasure to unite Adam and Rebecca (featured in photo) in marriage with a ceremony at The Salish Lodge that included personal vows, sharing of the wine and the breaking of the glass. And to tie a bow around it, after 7 years of loving relationship, Jeff and Jen tied the knot at The Willows Lodge! Truly, my heart is happy. Comments Off on Holiday Weddings 2014: Tie A Bow Around It By Getting So Very Married!